Although the main stories of Steins Gate 0 (also known as Steins;Gate 0) and Erased are different, there are a ton of parallels between the two series. Both feature a protagonist travelling back in time to try and undo a mistake, and save a loved one. The biggest difference is that Steins Gate 0 finds time travel through science, and Erased doesn’t really explain its reason for time travel. Even the tone of the two shows is similar, with both starting out fairly light-hearted before taking a dark and mature twist. Of course, travelling back in time has a ripple effect, and consequences that the respective heroes must deal with. Erased is much more drama-focused and faster paced, whereas Steins Gate takes its time and has some slice of life-type moments. 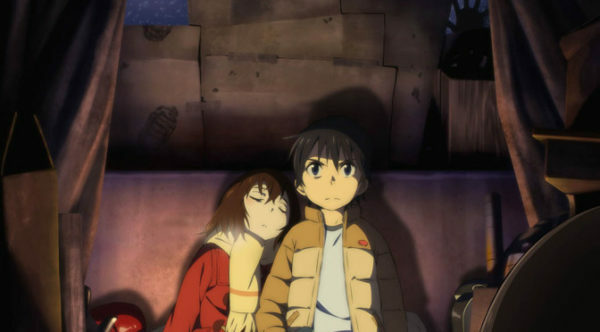 However, there are enough similarities between the two that you should easily find yourself hooked on Erased. For the sake of not spoiling anything, we have to be a bit vague as to why Madoka Magica is like Steins Gate 0, as we certainly wouldn’t want to lessen the impact. 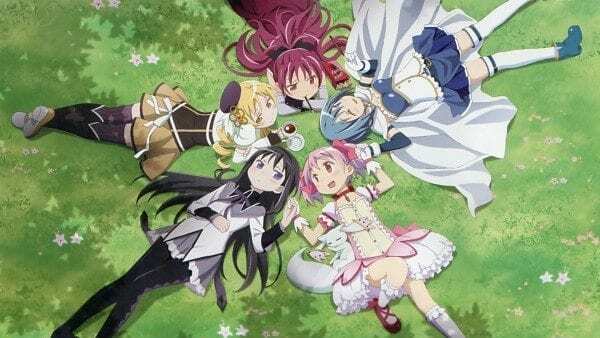 Madoka Magica, as you might expect, starts out light-hearted, but features a series of dark plot twists. Much like Rintaro Okabe, Madoka has to shoulder an immense burden and goes through some serious psychological trauma throughout the show. Basically, if you love Steins Gate 0’s crazy story and twists but would be interested in seeing that type of thing in a Magical Girl show, then definitely watch Madoka Magica. It’s a wonderfully written show that really thinks out its story, and builds to a climactic ending. Welcome to the NHK doesn’t involve any sort of time travel, but it does have similar themes and protagonists to those in Steins Gate 0. Tatsuhiro Sato is a college dropout who now lives his life as a hikikomori, a reclusive individual that lives away from society. Sato is much like Okabe in terms of personality and how awkward he interacts with others, as well as the fact that he believes a secret society is out to get him. The show features a strangely charming cast of characters, each of which has their own tragic story to tell. It’s much more comedy-focused than Steins Gate 0, but similarly takes some dark twists. 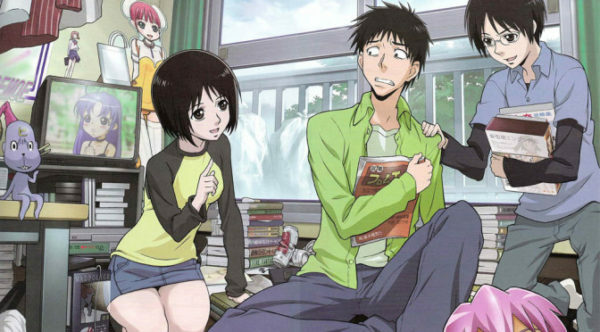 At its core, NHK is a psychological drama that brings up the topics of depression, paranoia, and loneliness. Just like Steins Gate, it starts out innocent enough but takes some really mature storytelling twists throughout the course of the season. Definitely check this one out if you’re looking for something tonally similar, with a little more comedy. Okabe and the others in Steins Gate inadvertently draw the attention of a shadowy government agency with their experiments, but in Eden of the East, the entire story revolves around a huge government conspiracy. The show has a great sense of humor right off the bat, and strikes a good balance between light-hearted humor and dark storytelling. Eden of the East’s basic setup is that twelve “special” individuals are given 10 billion yen to do whatever they want with, in order to “save Japan.” Things go a lot deeper than that as you’d expect, and the pacing in Eden of the East does a great job of building its mystery piece by piece. The fascinating cast of characters, realistic world, and focus on drama are enough to draw any fan of Steins Gate 0 in. Just as a tip for watching, the 12-episode anime series takes place first, followed by the two movies. Future Diary deals with time travel and the future, and much like Steins Gate 0, there’s even a cell phone with a unique ability that plays a big role in the series. The biggest difference here, however, is that Future Diary is a bit more violent and supernatural, while Steins Gate is more of a realistic drama. Go in expecting a healthy dose of violence mixed in with plenty of drama and plot twists. Even with all that violence, Future Diary puts a big focus on characters development and detail. Much like Steins Gate, almost every little detail is important to the plot, and you’ll constantly be kept on the edge of your seat. If you’re looking for something like Steins Gate, but more action-packed, Future Diary is the anime for you. First off, the most obvious similarity between Steins Gate and Re:Zero is the fact they’re done by the same animation studio, White Fox. Because of this, you can expect a similar look and style, but the similarities go far beyond that. The main character Subaru, like Okabe, is a bit different and very socially awkward, and quickly finds himself in a spiral of terrible events he has to deal with. Re:Zero also deals with time travel, and does a marvelous job of explaining things and trying to fill the usual plot holes that pop up with time travel stories. 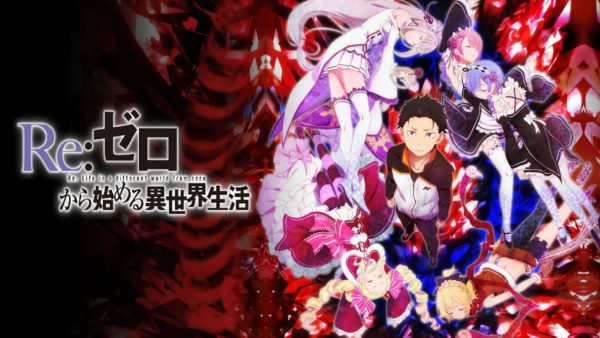 Time loops play a central role in both series, and Re:Zero sets itself up as a “dark” anime pretty much from the get-go. There’s really no reason to not watch this one if you love Steins Gate and Steins Gate 0, as even just the animation sticks to the same spirit. Robotics;Notes also has a link to Steins Gate, as it’s based off of a visual novel created by the same company, Mages Inc. formerly known as 5pb. 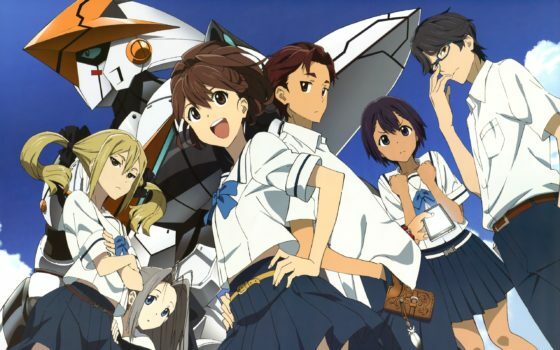 Like most of the developer’s titles and adaptions, Robotics Notes heavily features sci-fi elements, and even plays out in the same style as Steins Gate. Things start slow, before revealing bits and pieces of a conspiracy, while building up to a grand climax. Robotics Notes is about a young boy named Kaito Yashio, a fan of fighting games and member of his school’s robotics club. When he finds out that one of the other students is actually a genius programmer that designed the engine for a fighting game, he decides he wants to make his very own fighting robot using motion capture technology. There’s a fun romance at the heart of the story, just like Steins Gate, and the main characters are almost a gender-flipped Okabe and Kurisu. Even though it may not feature anything about time travel, Robotics Notes is about as similar as you can get in terms of pacing and style. 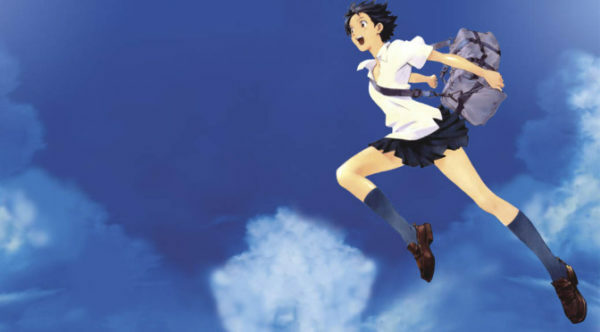 Even though it may not be an anime series, as an added bonus The Girl Who Leapt Through Time is a must-watch movie for fans of Steins Gate 0. The film is directed by Mamoru Hosada, the talented man behind Wolf Children, The Boy and His Beat, and Summer Wars. Makoto Konno is a typical high school girl who, somehow, discovers the ability to time travel one day when the brakes fail on her bike and she’s hit by a train. At first she uses this newfound power for small things like avoiding being late, reliving karaoke sessions, and more, but quickly finds out there can be consequences to these actions. 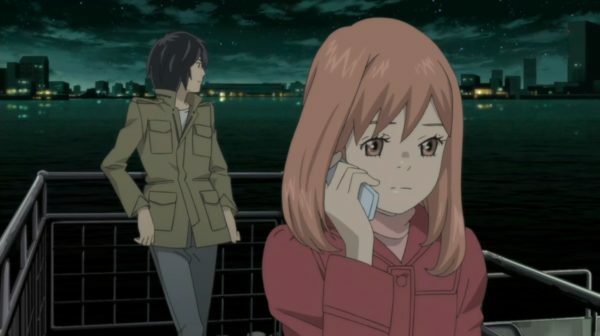 The Girl Who Leapt Through Time is a wonderful combination of drama and slice of life, forcing Konno to come to grips with this new power and what she reaps by using it. It’s a coming of age story, and easily one of the best anime films out there, even when put up against the likes of Studio Ghibli. 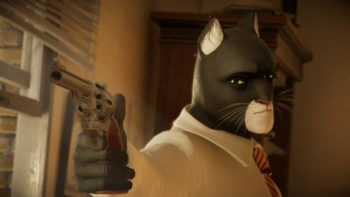 There’s drama, romance, charming characters, and beautiful animation. Everything a fan of Steins Gate 0 would be looking for.